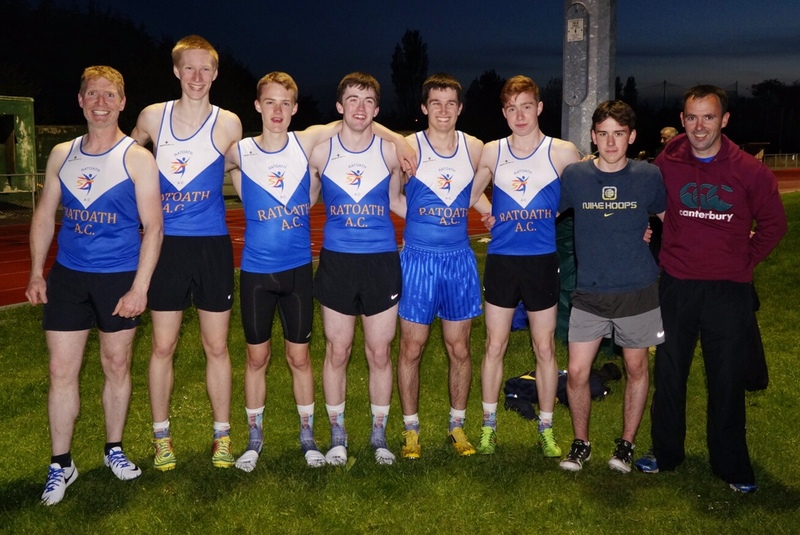 The Meath senior medley relay was held tonight in conjunction with the juvenile relay championships in Claremount stadium. Distances range from 200m, 400m, right up to 800m so it was great to see the club take gold and silver on the night. Peter Kilgannon and Brian Kiernan both ran 24 sec for the two opening 200m legs. 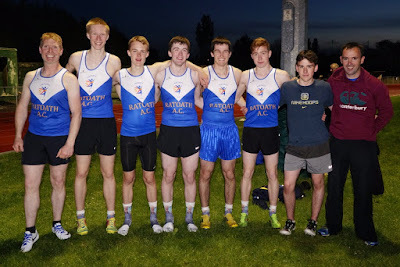 Naoise McKenna , making his Ratoath A/C debut , then consolidated the lead with a 55 sec quarter before Philip Marron brought home the baton with a 2 min 14 sec 800m leg for an overall time of 3 min 57. This quartet were pushed all the way by Peter Doherty (25 sec), Eoin Clayton (26 sec), Hugh Kelly (56 sec) and Ciaran Quinn ( 2 min 23 sec) who combined to take home the silver medals. Competition for places on each team is very keen so well done to everyone on some fine performances.